Fifty nine people were killed after a crowd, which had gathered to watch the burning of the Ravana effigy, spilled over to the railway tracks and were mowed down by two speeding trains. 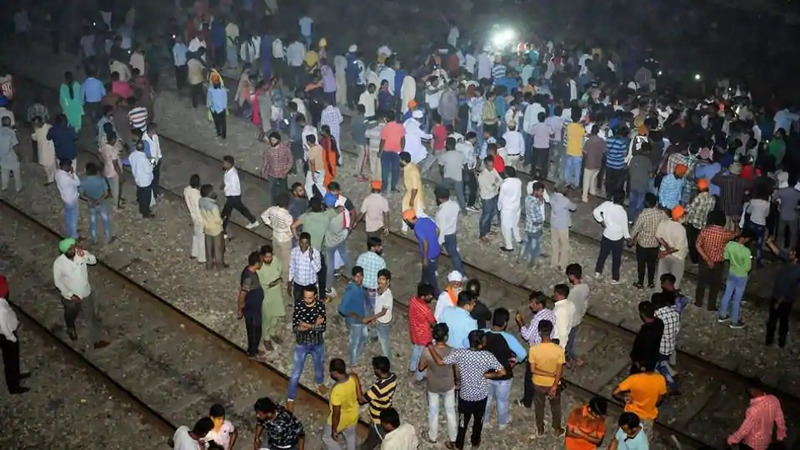 New Delhi: Fifty nine people were killed after a crowd, which had gathered to watch the burning of a Ravana effigy, spilled over to the railway tracks and were mowed down by two speeding trains. Almost 300 people had gathered to watch ravana-dahan at a ground adjacent to the railway tracks. The injured were immediately taken to the civil hospitals near the area. 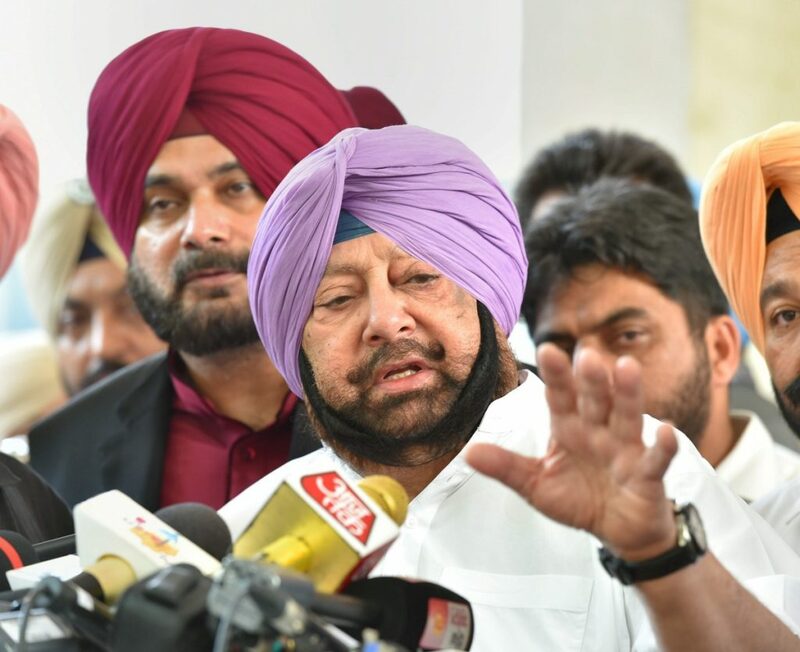 On Saturday, Punjab chief minister Amarinder Singh, who had tweeted soon after the accident that he was rushing to spot to supervise rescue efforts, ordered a magisterial inquiry into the Amritsar train accident after visiting the injured and kin of those killed in the tragedy, according to PTI. “We are announcing a magisterial probe into the incident,” Singh said. Singh also announced a compensation of Rs 5 lakh to the families of all the victims as well as declared that the Punjab government will bear all the medical costs. Earlier, the Centre had announced a compensation of Rs 2 lakh to the families of the victims and Rs 50,000 to the injured. 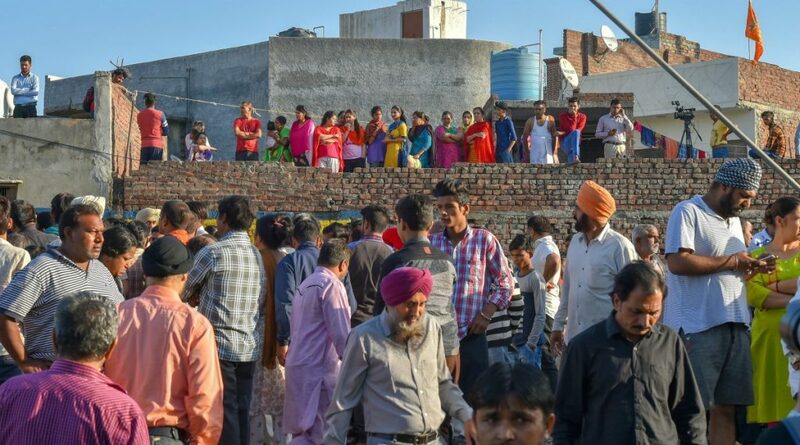 The Amritsar Municipal Corporation stated that permission had not been granted to burn the Ravana effigy at the Dhobi ghat, as reported by PTI. “Nobody was given the permission for organising the Dussehra event. Moreover, nobody had applied for the permission with the Amritsar Municipal Corporation,” said Amritsar Municipal Corporation Commissioner Sonali Giri. According to the Indian Express, the Punjab police had granted permission for the event but the organisers had not sought permission from the Municipal Corporation, the health and the fire departments as was mandated. According to reports the burning of the effigy was delayed due to the late arrival of the chief guest of the event, Navjot Kaur Sidhu, wife of the Amritsar East MLA and cabinet minister Navjot Singh Sidhu. One of the residents protesting against the incident near the accident site categorically blamed her. 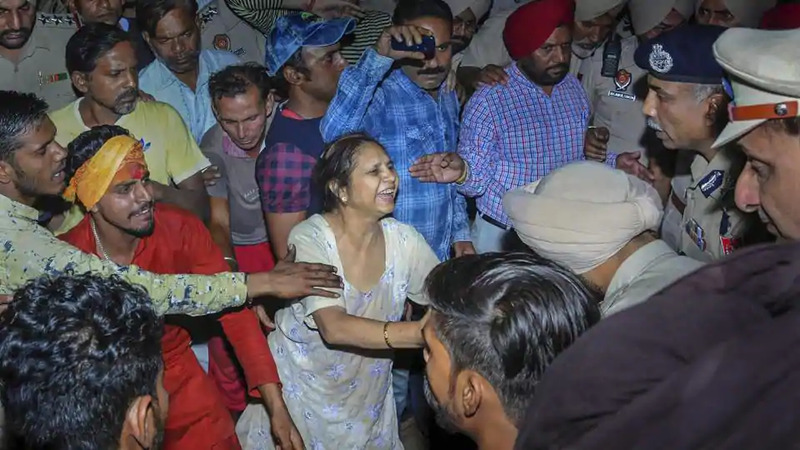 “The tragic incident could have been averted, had Navjot Kaur Sidhu turned up at the venue on time and had the function not been delayed,” said Deepak who works as a painter to PTI. Sidhu was also accused of fleeing the accident site without any regard for the victims of the accident. Navjot Singh Sidhu, her husband, rubbished the allegations. While speaking to the media outside the Civil Hospital, as reported by ANI, Sidhu said that the matter should not be politicised and that it was an accident and was not intentional on anyone’s part. He further added that the train did not blow the horn. Residents of the area are protesting near the accident site and demanding action against the erring officials and the train driver. According to them, the driver did not slow the train down despite the huge crowd present. “Why did the government not ensure proper security arrangements at the time of Dussehra festival? Why was such function was allowed to take place near railway tracks?” Sujit Singh, one of protesters, said. A day after the Amritsar train tragedy, 37 trains were cancelled and 16 trains were diverted. Ten mail/express trains and 27 passenger trains were cancelled. While 16 trains were diverted and reached their destination through a different route, 18 trains were short terminated, Northern Railways spokesperson Deepak Kumar said to PTI. The route between Jalandhar and Amritsar was suspended, he further added. The railway said that it had no intimation of the Dusshera event near the railway tracks. Chairman of the Railway Board Ashwani Lohani said in a statement that the accident occurred at a midsection between the Amritsar and Manawala stations and not at a level crossing. “There was no information and no permission sought from us. The event took place at a place adjoining the railway land in private property,” he said. There could have been a bigger tragedy if the driver had applied emergency brakes, he added. Condolences have been pouring in from across the world to the families of the victims of the Amritsar train tragedy. UN Chief Antonio Guterres expressed his deepest condolences to the affected families. 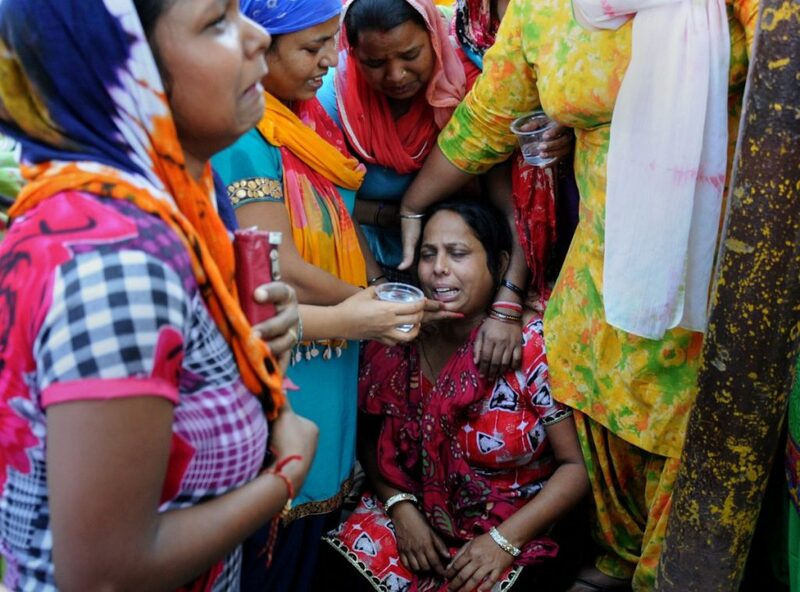 “”My heart goes to all in Amritsar following Friday’s tragic accident. Earlier this month, I was honoured to visit the Golden Temple and witnessed the warmth and generosity of the people. My deepest condolences to those who have lost family and loved ones,” Guterres said in a tweet. Canadian Prime Minister Justin Trudeau also tweeted his condolences. My thoughts are with everyone who has lost a loved one in the tragic train crash in Amritsar, India. Canadians are keeping you in our hearts tonight & wishing all those injured a full recovery. Russian President Vladimir Putin also extended his sympathy. “I offer my deepest sympathies over tragic consequences of an accident on railways in Punjab. I ask to convey my words of sympathy and support to families and friends of killed people and to wish soonest recovery to those injured,” he was quoted as saying by ANI.